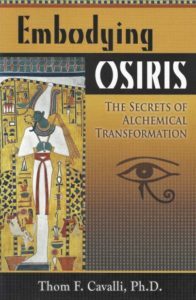 The myth of Osiris, dying and resurrecting Egyptian God of vegetation, marks a change that describes the earliest beginnings of the modern psyche. In excavating the myth. Jungian psychologist Thom Cavalli uses alchemy to transmute hidden secrets into sacred knowledge. Here for the first time is an alchemical interpretation of this timeless myth as a guide to spiritual transformation. 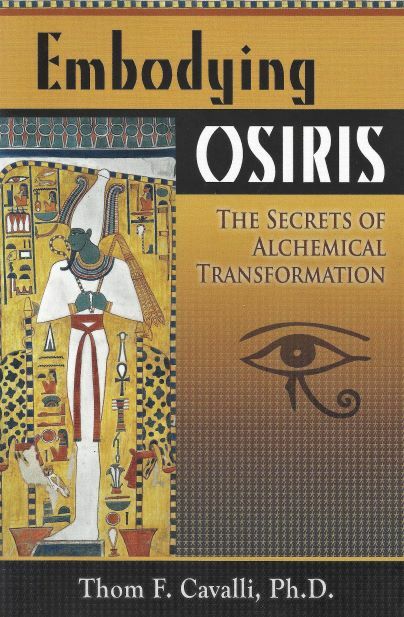 Osiris's rebirth symbolizes what alchemists have always seen as the creative power we all have for self-renewal. Cavalli shows us how to access this archetypical God in the quest to integrate body and Soul. To 'become' Osiris is to become whole. I am not destroyed. " - Mojsov, Osiris (8) (see intro., nr. 4). The quote is from The Coffin Texts.